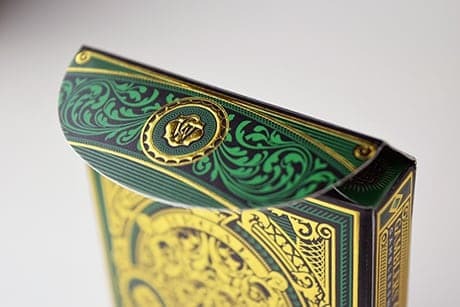 An astonishingly ornate deck fit for royalty! 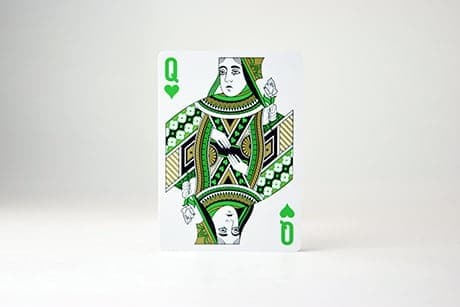 We are very proud to be able to offer a small quantity of this elegant deck from Gambler’s Warehouse. 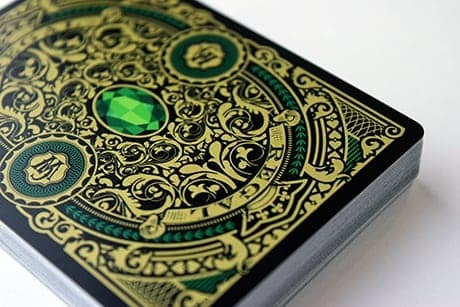 Their successful Kickstarter campaign was funded over 300% and is now completed, this might be one of your last opportunities to acquire this stunning design! 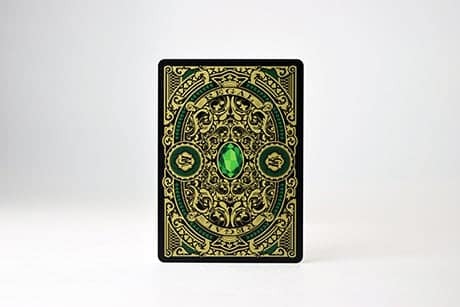 Gambler’s Warehouse welcomes the return of renowned cardist John Powell, who invites you to make room in your collection for Regal: tradition with a lavish twist. 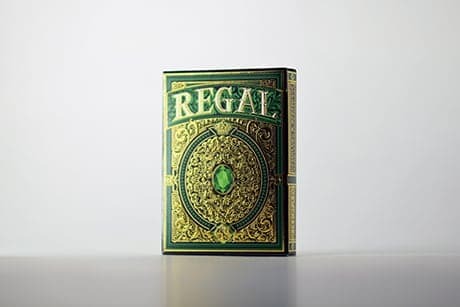 Combining robust design elements with a fresh take on classical styling, Regal invites you to sit among the royal. 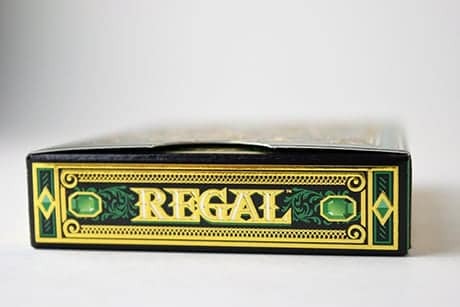 Have your pick of Regal’s four (4) fancy color themes (one color to a deck): red, purple, blue, or green. 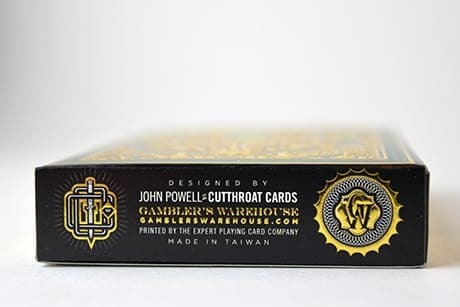 John Powell has become a Gambler’s Warehouse mainstay with a number of top-selling custom decks already to his credit, including the sinister Double Black and the stunning Occults. 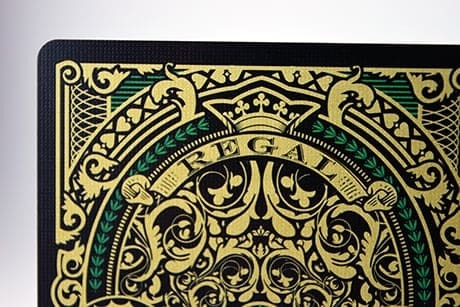 Regal playing cards are unmistakably unique yet practical and familiar—a must for any serious collector. 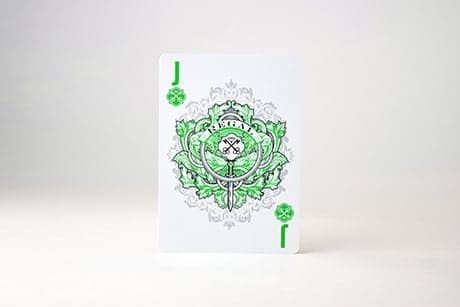 Green is the first color I began to design the deck with it immediately had a tie in my mind with the Regal family. 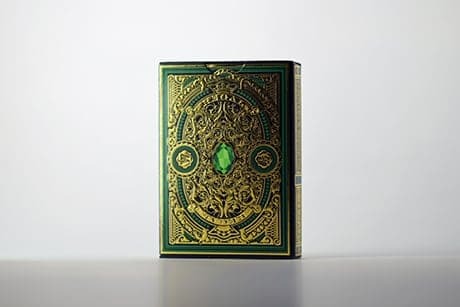 Green is commonly associated with money and wealth. 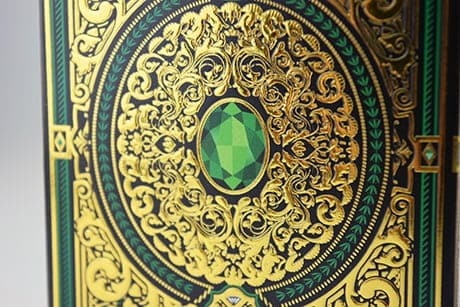 Money = Power. 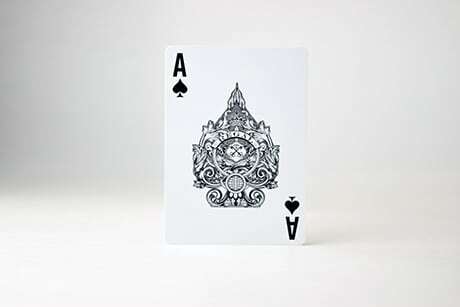 Power over everything has always been a hallmark of nearly every Regal monarchy known to man. 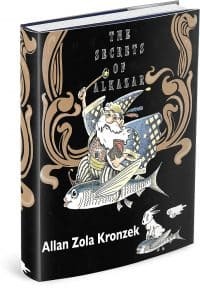 It seemed like the easiest decision to make for me.